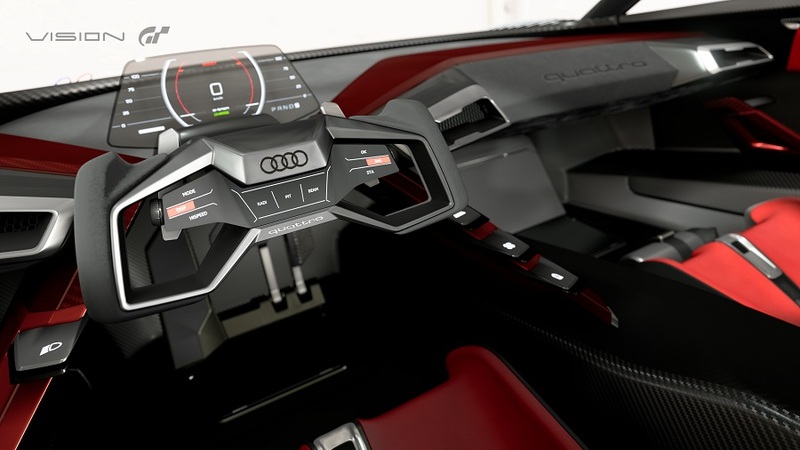 German automobile manufacturer Audi in conjunction with Sony has recently revealed the first ever Vision Gran Turismo cars to race in the real world and the PlayStation 4 game Gran Turismo Sport, the bar has now been raised for other automobile manufacturers to make their ‘Visions’ into reality. Polyphony Digital teased the new cars a few days ago before being finally unveiling them this week, however, the original teaser never mentioned the second car, so it was a nice surprise when it was announced that they were two new cars available in the game through the latest update 1.17. 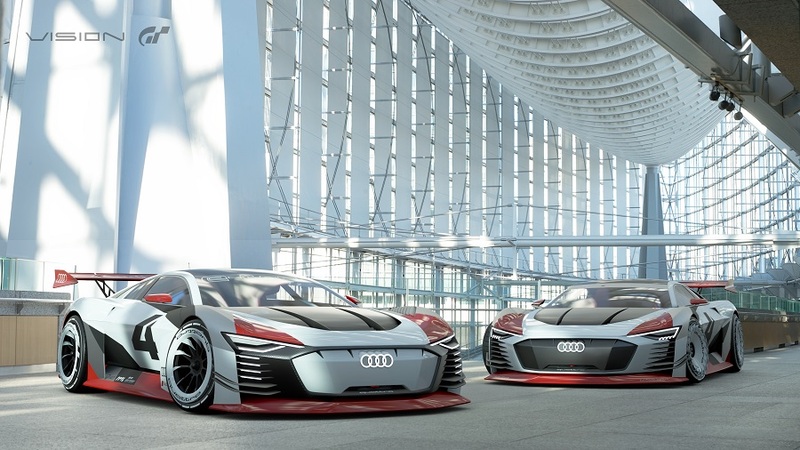 The cars in question are the Audi Vision Gran Turismo and the Audi e-tron Vision Gran Turismo. 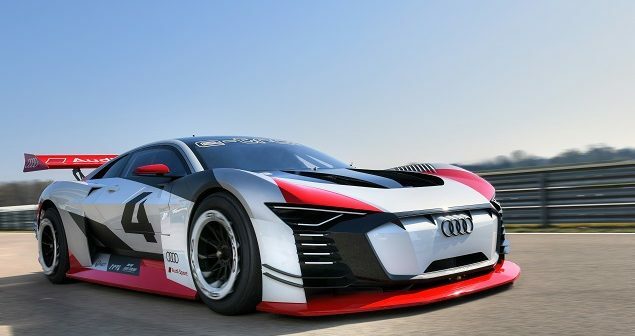 What sets these cars apart from other Vision GT cars is the fact they have been built in the real world and were recently unveiled at the Audi Driving Experience Center located just outside Ingolstadt, Germany. 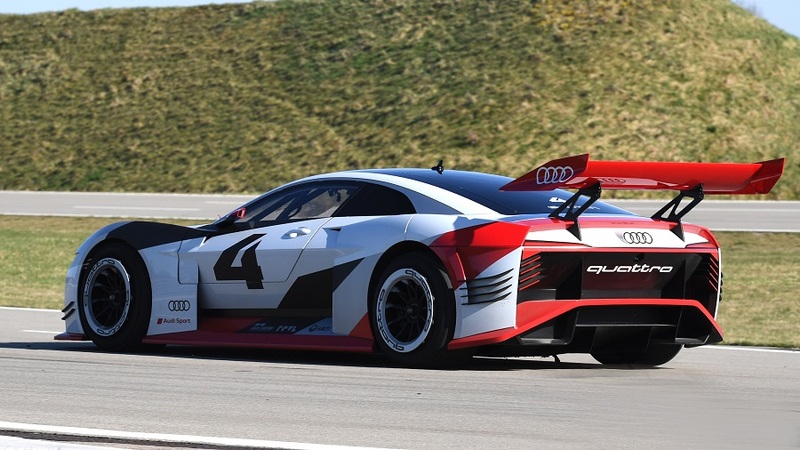 They are also the first Vision GT cars to drive on a physical race track. The base model is powered by a hybrid power unit that combines a turbocharged 3.4-liter V-6 engine, which is used for the rear wheels, while an electric motor powers the front wheels, in total an impressive of 950 kW (1292 ps) is produced. 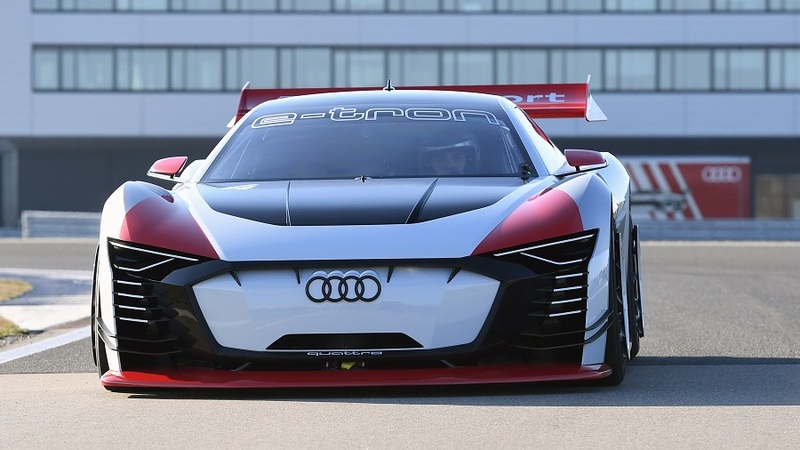 The e-tron model is completely reliant on electric power and uses a single 200 kW motor in front and two at the rear, all three motors combine to give the car an output of producing 600 kW (815 ps). Both cars have been scheduled to perform demonstration laps at the upcoming Formula E Rome GP on April 13th and 14th, and further demonstrations are to be held at the Goodwood Festival of Speed and the Nürburgring 24-hour race. If you wish to race the cars in the digital world then you can buy them for a knockdown price of 1,000,000 Gran Turismo Sport credits, each! See the pictures below of the living and digital versions of the car.